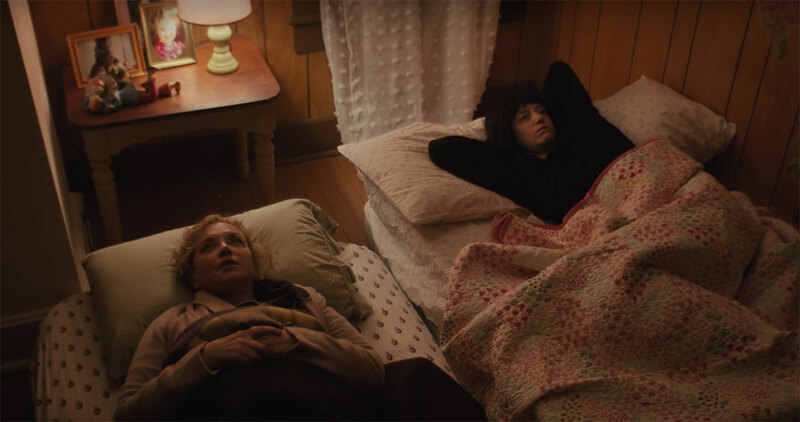 A remarkable feature film debut from Christina Choe, the unsettling female-driven psychodrama “Nancy” is beautifully scripted and flawlessly acted. I had the enormous pleasure of screening Nancy, the Sundance-winning feature debut of writer/director Christina Choe, at the Final Girls Berlin Film Festival. The unsettling identity crisis thriller kicked off the festival’s feature programming on Thursday, January 31st. 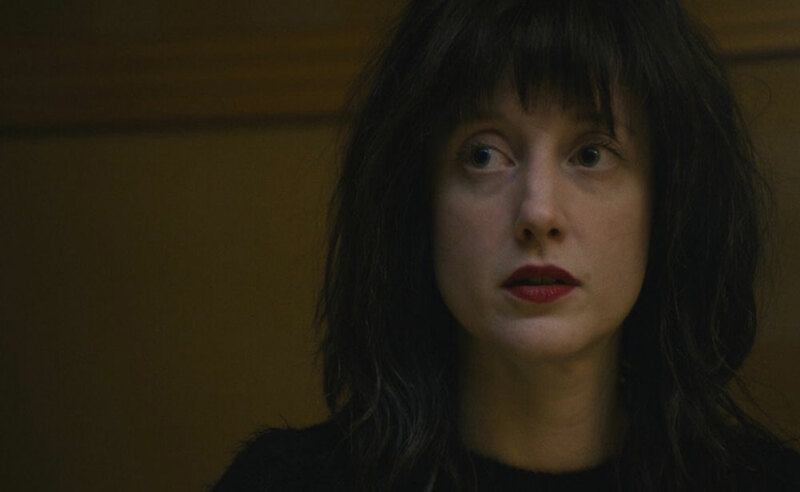 The film centers around Nancy, played by the remarkable Andrea Riseborough (Mandy). Nancy lives a bleak existence in a cold, gloomy, and lifeless New Jersey town. 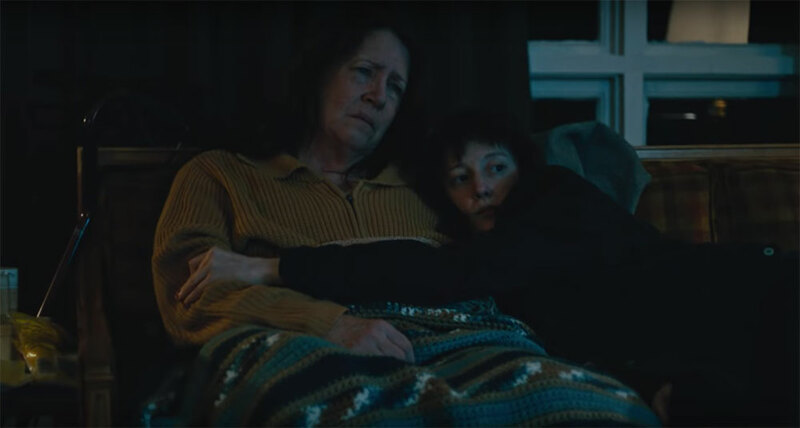 She lives in virtual squalor where she plays constant caregiver to her cold and ailing mother (Ann Dowd), who suffers from Parkinson’s disease. Lonely and depressed, she shuffles from one temp job to another and sleepwalks through much of her uninspired day-to-day life. Nancy is also an aspiring writer, though she receives one rejection letter after another in her attempt to get her work published. Thus, unfulfilled in both her personal and professional life, she uses her storytelling skills to script a new life for herself — creating alternate characters and life experiences to escape her severe reality. In one scene, she tells co-workers at her temp job about her recent vacation to North Korea. When one of them seriously questions the credulity of such a claim, given how notoriously difficult it is for American tourists to enter the country, she is prepared with a series of Photoshopped images of her posing in front of various monuments. In another rather heartbreaking plot point, we learn that she’s been running a blog about her pregnancy after the loss of a baby, though she is clearly not pregnant. Through her writing, she’s befriended a man named Jeb (John Leguizama) who has recently lost his infant child. He wants to meet her. Rather than make excuses or end communication with him, she agrees to meet him at a café — showing up wearing a fake pregnancy belly. The two form an instant connection, until he later bumps into her at the grocery store minus her very noticeable belly bump. Through this, we establish that Nancy has a very tenuous relationship with the truth. In the most blunt of terms, she’s a liar. But there’s a pathos to her pathology that infuses our perception of the character. While her lies are in part a byproduct of boredom and general happiness, we also sense they are derived out of a desire to form human connections and relate to people in a way that so painfully escapes her within the confines of her actual reality. We see her as far more damaged than devious. We understand she’s broken, desperate, and deeply depressed. And yet, while we can’t help but feel pity, we also know her desperation can have dire consequences. Thus, we can’t avoid that sick feeling in the pit of our stomachs when Nancy is watching television just days after the death of her mother. She sees a grieving couple discussing the scholarship fund they set up in memory of their daughter, who was kidnapped 30 years ago at age 5. 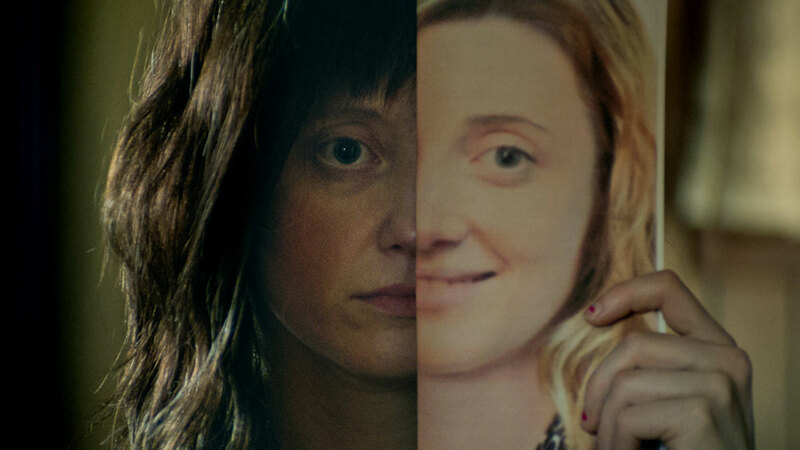 They show a photo of the young girl and another age-progression rendering showing how she might look at age 35 — Nancy’s current age. In one very compelling scene, Nancy prints out the photo, folds it in half and holds it up to her face. There’s an undeniable resemblance. The photo looks like the woman Nancy might have become — if she had been raised with love, support and financial security rather than becoming a byproduct of neglect, emotional abuse, and struggle. Immediately, she calls up the couple to tell them she believes she’s their kidnapped daughter. She speaks to the mother, Ellen (the magnificent J. Smith-Cameron). While she’s understandably skeptical at first, it takes Nancy very little time to convince Ellen of her claim. The father Leo (a wonderfully understated and compelling Steve Buscemi) is far more guarded. He wants to call the police, but Ellen just wants to meet Nancy right away. We can feel her pain and desperation to believe Nancy is who she says she is. Thirty years later, and she’s still holding on to the undying hope of her daughter’s safe return. 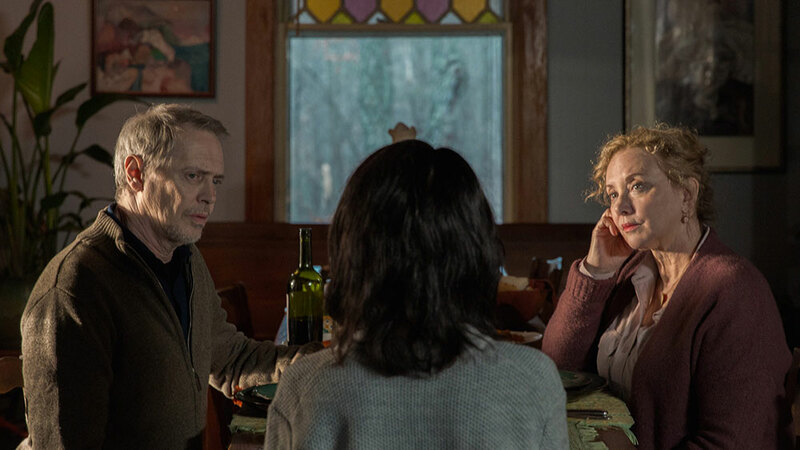 Without a moment’s hesitation, Nancy packs a bag and her cat Paul, and she makes the four-hour long drive to arrive at the doorstep of Leo and Ellen. Right away, Leo tells Nancy he has called a Private Investigator who will be out in the morning to ask her some questions and conduct a DNA test. In the time between Nancy’s arrival and the days waiting for the test results to come in, Choe does a masterful job maintaining the mystery and toying with our expectations. Even given Nancy’s extremely unreliable history, we’re never quite sure what her intentions are. Is this another deliberate ruse to create a life that doesn’t exist? Or is it a deeply hopeful desire to discover who she truly is and find answers to a life of pain, suffering, and failure to fit in anywhere? Could it be that she was kidnapped 30 years ago and deprived of the life she was really meant to live, or is she intentionally manipulating a mother’s gut-wrenching grief to temporarily escape her bleak existence? 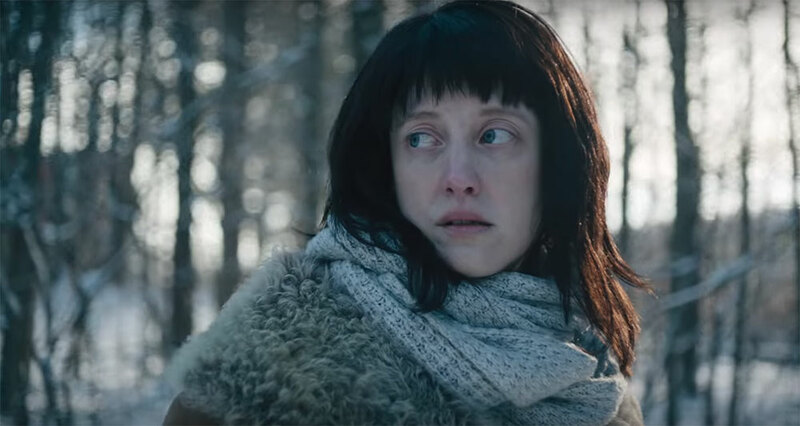 Choe gives us plenty of clues to support both scenarios, and Riseborough delivers an outstanding performance that helps us simultaneously root for and against her. The filmmaker expertly teeters Nancy on a micro-thin tightrope between hope and dread, sympathy and disgust. This is a film that’s riveting from scene to scene and steadfast in its refusal to be neatly classified. There are real horrors explored here, but don’t expect any of the supernatural or overtly malevolent kind. This is a tale of loss and suffering, of the human desire to connect at all costs, of our desire to believe a beautiful lie over an ugly truth, of the monster we are willing to become to escape the nightmare we can no longer face. In a world where the Internet make it so easy for us to be someone we’re not — flaunting artificial lives on social media and forming connections based on inauthenticity — Nancy examines the gray area between what’s actually real and what just feels real. If the emotions are real, even if the story is fabricated, is there truth in the lie? As we kick off the tenth anniversary of Women in Horror Month, it’s worth noting that this film not only centers around incredibly strong female performances, but the behind-the-camera creative team is almost entirely female. 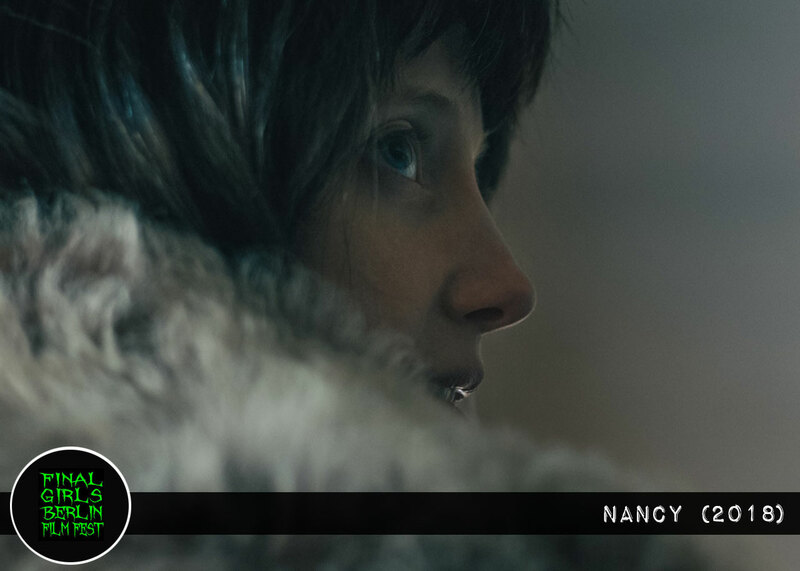 In full transparency, Nancy won’t be for everyone — certainly not the casual genre fan looking for true scares or those looking for easy answers. It’s a grim and heartbreaking examination of the human desire for redemption, without the feel good aspect of a true redemption tale. This film is about the struggle, not the salvation. In intentionally refuses to grant audiences the escape from reality its damaged antiheroine so desperately seeks. For some, this act of defiance will be unforgivable. For others, like myself, it reflects bold and breathtaking filmmaking and harkens the arrival of a powerful new voice in filmmaking. Nancy is available to watch now on demand and digital, including Amazon Prime.